If tears could wake the dead, Yinka, the slain brother of writer and lecturer, Taofeek Olatunbosun, would have risen from the dead by now. Last week when he heard of the death of his soldier brother in Borno State in the hands of Boko Haram, Olatunbosun cried himself hoarse. He was yet to believe that his brother, who was a major in the army, had been cheaply killed by the terrorists. Olatunbosun mulled and sighed as sympathisers pleaded with him to take heart. He just couldn’t control his emotions inflamed by inestimable grief. Barely managing to speak with The Punch amid the palpable misery, he said, “There are pains that do not heal but have to be nursed all through life’s pathway. This is one of them. The death of my brother, Major Yinka Olatunbosun, has left our family in eternal sorrow. We both grew as brothers and later decided to make career choices. 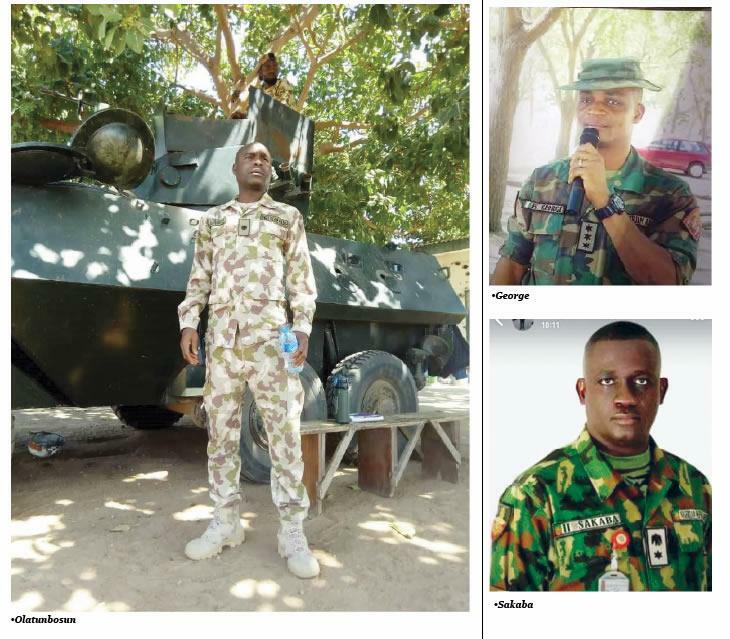 It was reliably gathered that the slain soldier’s father, who is a retired soldier, had been heartbroken since he heard the news of his son’s death. It was learnt that the late George, who studied History and International Relations, enjoyed writing poems and used to put his creative mind to task anytime there was an opportunity to do so. The Punch reliably learnt that none of the grieving families was officially informed by the army authorities of the death of their soldier relatives. 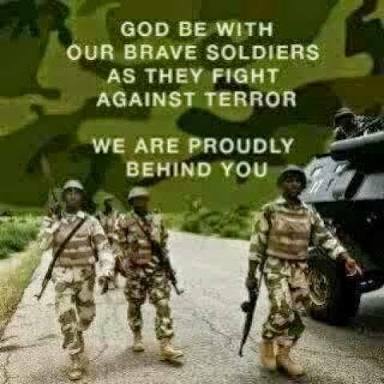 Indeed, the soldiers fighting terrorism in Nigeria continued to do their best in spite of the challenges associated with the hard-hitting task. As the war against terrorism intensifies, the Federal Government alleged last week that opposition political parties were busy mobilising bandits and Boko Haram fighters to cause crisis ahead of next month’s polls. Commenting on ways to help the grieving families get a sense of closure, a senior researcher in the Transnational Threats and International Crime Programme at the Institute for Security Studies, Pretoria, South Africa, Dr. Akinola Olojo, said soldiers, who paid the ultimate price defending Nigeria against Boko Haram, deserved honour and gratitude from everyone.